As we head towards winter, the thought of Christmas naturally comes to our minds. Although it is easy to get caught up in the things we enjoy such as mince pies and turkey, don’t forget about your goldfish. Christmas is a great opportunity to not only show them how much you care, but also get them something new to entertain them. Kids in particular will love looking for and buying a Christmas gift for any goldfish you may have. But what are the best presents to get your goldfish when Santa comes to call? One very good idea for a goldfish Christmas gift is a new tank. It may be that your old one is just looking a bit worse for wear or that it is not big enough anymore. The size issue is vital to keep an eye on for goldfish care as the fish you have grow or you plan to add more fish to your existing ones. Not only will a new larger tank give them more room, but a new environment to explore will also help them stay stimulated and happy. As noted above, goldfish need to remain stimulated and entertained when swimming around to lead a long, full life. By buying them some new decorations for their tank as a present, you will be enabling this to happen. The new decorations will give them something fresh and exciting to explore while offering extra places to rest in the tank when needed. There are so many to choose from now including ruined temples, cars and bridges that you will soon find one your goldfish will enjoy. Another great gift idea for your current goldfish is getting an extra fish to keep him company in his tank. This is especially true if you only have one and think he could use someone to swim around with. Of course, it is not as simple as just sticking another fish in the tank, so please make sure to read up on how to introduce the new one properly and avoid upsetting your current goldfish. 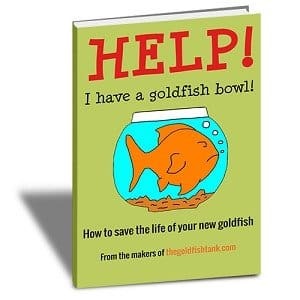 If you need any more information on looking after your goldfish, then check out the rest of the site. 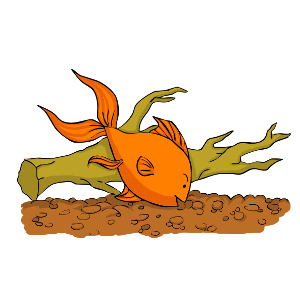 Here at The Goldfish Tank, we understand there’s lots to think about when looking after goldfish and have all the information you need. The quality of fish you receive can vary massively depending on where you decide to buy goldfish and whether they have been kept in suitable conditions. Buying poor quality goldfish is one of the most common mistakes new goldfish keepers make! 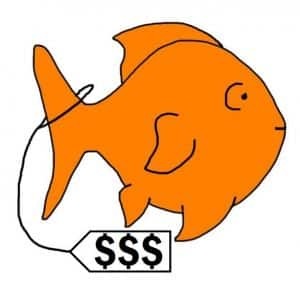 But with goldfish for sale in so many different stores and via so many websites, how can you be sure to buy goldfish of a good quality from a reputable seller? Here, we explain the options available, list some recommended sellers and let you know how to tell a good pet store from a bad one!